Founded in 2010, Marqeta has re-engineered how payment cards, virtual cards, and mobile authorization products should be developed and deployed. The Marqeta Platform, built from the ground up with no legacy infrastructure, provides the world’s first fully documented, open API issuer processor platform. Adopters of The Marqeta Platform include financial services, e-commerce, retail, and social media brands. 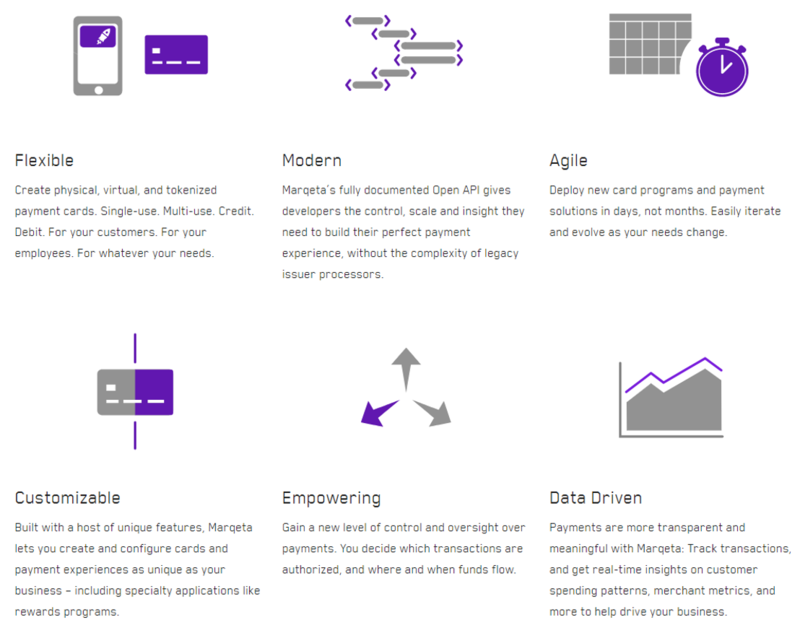 Marqeta offers developer solutions to meet the evolving demands of the payments market: delivery, lend, disburse, expense, and virtual. Each of these solutions includes a set of controls and configurations that are designed to meet the needs of on-demand service companies, alternative lenders, as well as those looking for payouts for 1099 workers, flexible expense management, and scalable, secure virtual card transactions. EquityZen does not have an affiliation with, formal relationship with, or endorsement from Marqeta or any companies featured above.